- A coloring book of exotic settings, Arabian Night tales and bellydance beauties. 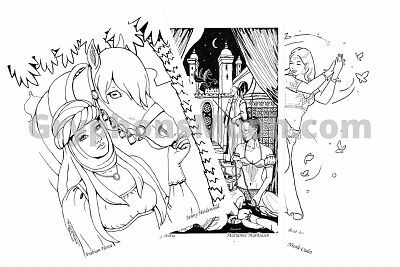 This coloring book features 20 pieces of art, including works by a variety of fantasy artists. This staple-bound book has smooth, bright medium-weight white pages that will accept most media, including markers and watercolors (although we do recommend a backer sheet if you suspect your markers might bleed through). Pages are printed single-sided on 8 1/2" by 11" paper. 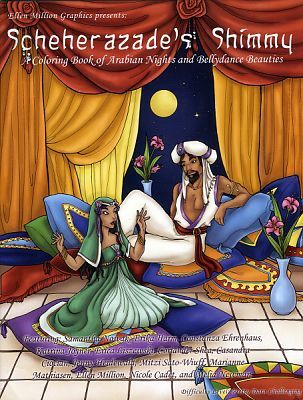 Do you have any other questions about our Scheherazade's Shimmy Coloring Book?